For All Those School Papers & Art That Come Home: I Found a Solution! 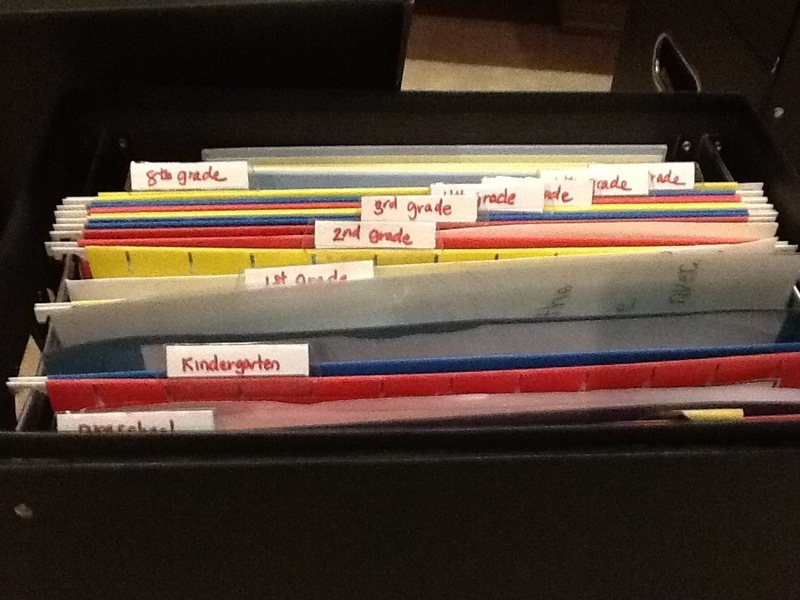 For the past few years, I’ve been using an open bin/container with mismatched folders to store keepsakes from my kids’ school years. We’re talking report cards, cool art work, certificates and more. I’m really not much of a hoarder when it comes to the items they bring home. I only save the really neat stuff or important papers (like the annual report card), but even still, after many years, it can add up! Two kids, preschool papers included, the bin was getting out of control. I was inspired by a filing system picture someone had posted on Pinterest and ran over to Target to see if something there would work for me. 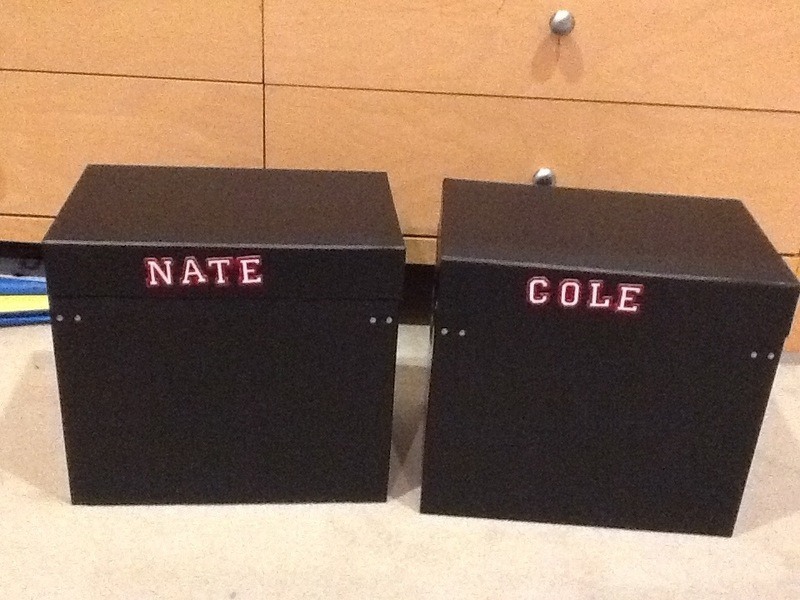 I ended up with two of these Black Tabletop File Storage containers ($13.39, Target.com). I also got these up & up Letter-Size Colored Hanging Folders (20-ct) (on sale for $7.75) because they came with plastic tabs and the folders that come with the File Storage did not. I wanted a way of labeling each school year. For fun, I added these fun letter stickers to easily identify each box! I put the stickers on the side of the box so I could stack them if I want.